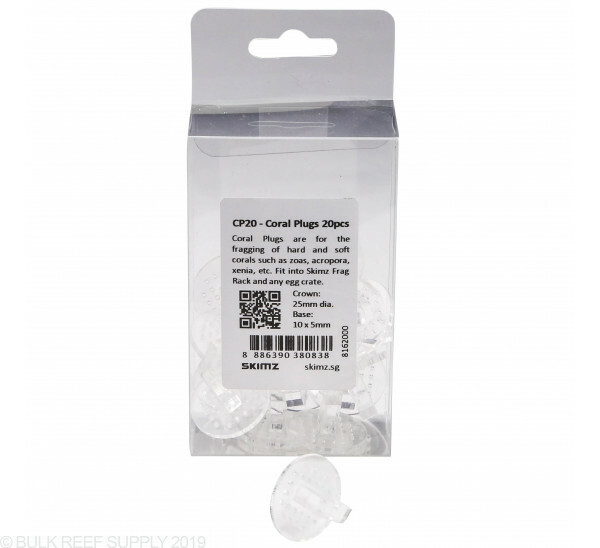 The CR20 Frag plugs are made to fit directly with the CR16 Coral Frag Rack but can be used with other frag rack styles too. 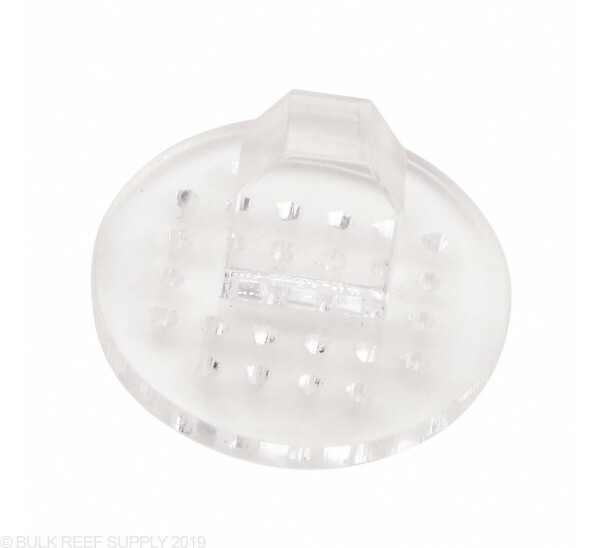 The plugs are made of clear acrylic letting them blend into your aquascape quickly, and each plug has 20+ holes on the base allowing glues or epoxy to seep into and create a firm, long lasting bond. Skimz frag plugs work great in egg crate racks, acrylic frag racks or the preferred CR16 frag rack from Skimz. 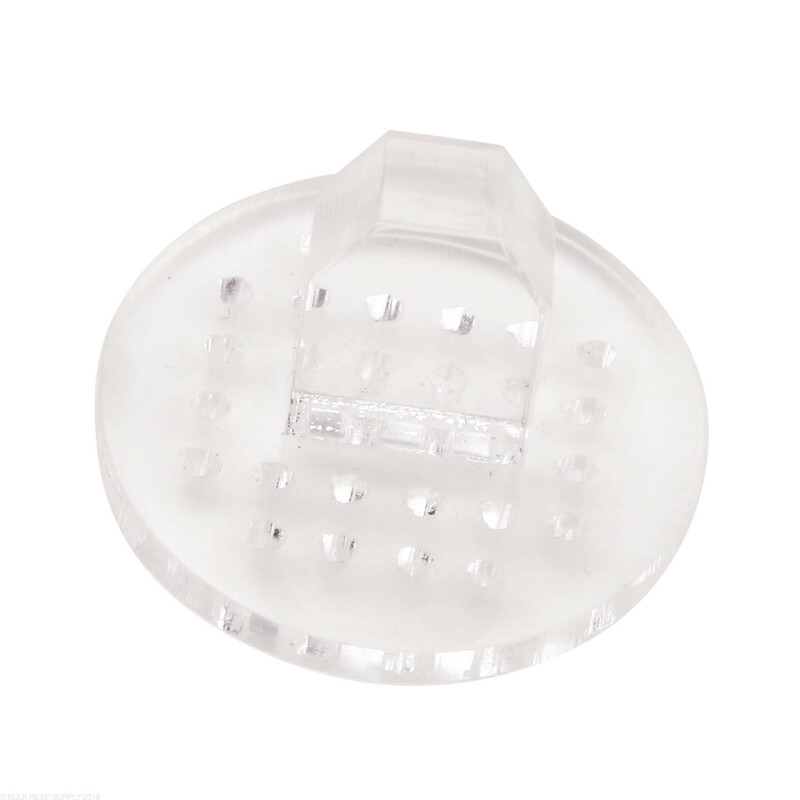 Unlike normal frag plugs with a round plug, the Skimz have a unique design that is easy to fit in most frag racks and can be trimmed easily to fit into rock work. The clear acrylic keeps your eyes on the coral and not the plug. The CP20 plugs have numerous small holes drilled into the crown of the plug letting adhesives create a physical hold onto the plug for a long lasting bond. Sounds like a good idea but too light for small frags,they float of or fall of frag rack, I like the regular ones better. I was excited to use these and it was very easy to glue corals to these plugs. However, because they are not heavy like normal plugs they become top heavy and prone to tipping over with even the lightest coral. Forget about using them if you have strong flow or snails/hermits in your frag tank that tend to disturb things. The stem of some of the frag plugs was detached from the disc. However, it can be glued very easily with coral glue and placed in the CR16 Frag rack.